Doping scandals continue to raise the question: Why? Why is doping wrong? Why does our rhetoric condemn it? Why should our dollars enforce the rules we make? 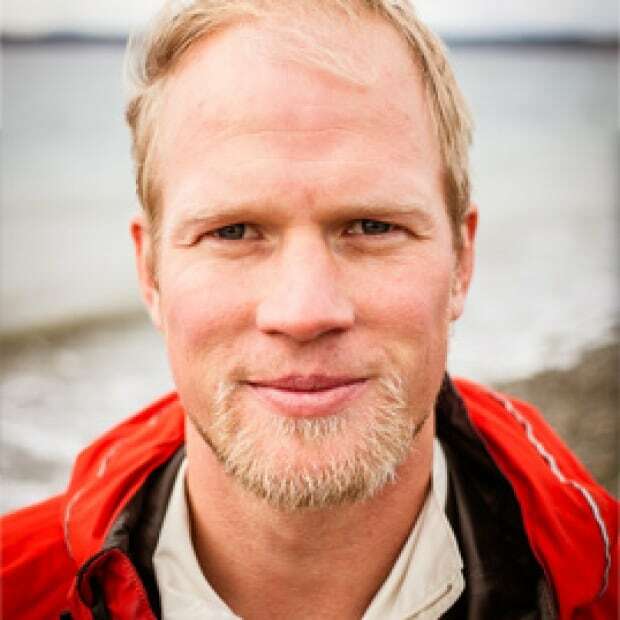 Olympic gold medallist Adam Kreek offers his take. Does the anti-doping system protect the athletes or the establishment? The Russian doping scandal continues to develop, recently implicating the Russian wife of Canada's Dylan Armstrong. Thankfully, the IOC has announced more funding to enforce the rules of the World Anti-Doping Association (WADA). Canadian champions like Beckie Scott, Andréanne Morin and Hayley Wickenheiser continue to carry the torch of clean sport. All too often in the doping debate the most important argument is forgotten: The why. In my corporate life — where I act as a management consultant — uncovering the why is a critical piece for organizational effectiveness and personal drive. Why is doping wrong? Why does our rhetoric condemn it? Why should our dollars enforce the rules we make? For me, the unquestionable why in the doping debate is athlete health. We implore the sons and daughters of our nation to embrace sport, uphold its values and strive for excellence. If our sport system spits out retired athletes with broken bodies and incurable mental illnesses — the Olympic movement has failed. Sport should be a stepping stone to a better adult life, not a gateway to destruction. Making athlete health the clear priority should make us rethink how we we frame the discussion around Performance Enhancing Drugs (PEDs). If the short-term and long-term health risks of sport are mitigated by use of PEDs, then I believe that we should be allowed to use them. If the sons and daughters of the Olympic Movement take a PED, and they are healthier because of its use, my vote is that we make it legal. If our athletes can take thyroid medication, steroids or erythropoietin and lower their short-term and long-term health risks, I say, "Let's do it! The No. 1 issue is the health and safety of our athletes." Dr. Pat Walter, a professor of endocrinology at the University of Victoria, also has the unique perspective of competing as an Olympic athlete for Canada in the 80s when steroid abuse was rampant. "Why are most PEDs banned? Because we do not know the long-term effects," said Walter. Athlete health is paramount in the doping debate, but the current anti-doping regime places rule enforcement as its priority. "I would like to do an extensive literature review," said Walter, "but a cursory review of the literature shows that most research sponsored by the IOC and WADA focus on technologies to catch people who are doping, and not on athlete health." "We need to put more money into researching the long-term effects of certain pharmaceuticals," said Walter. Too often medications and methods are developed and researched to fix a problem, not enhance the functionality of a high performing individual. "I don't think we know if performance enhancing drugs actually enhance performance beyond the placebo effect," said Walter, who would like to see more funding for placebo-controlled random crossover studies. Sport could learn from the transformation that psychology went through in the 90s and 2000s. Initially studied to cure serious mental illnesses like bipolar disorder, schizophrenia, alcoholism, psychology embraced a new branch of thinking called "Positive Psychology." If psychological techniques and methodologies can bring a low performer closer to the baseline average, how could a high performer use similar psychological strategies to increase their competitive edge? The field of executive coaching was born. Supplements, pharmaceuticals and recovery methodologies all have their benefits and risks. You can use an altitude tent — which is an allowed method — to increase your body's oxygen carrying capacity. This is a legal method and it can cause serious harm if used improperly. We know that EPO can achieve a similar effect, but too much EPO places too much of a health risk. With the proper protocols and expertise, you could theoretically boost performance with EPO and also gain a positive short-term and long-term health effects. But this would require the focused use of doctors, scientists, and extensive athlete monitoring. With the introduction of the athlete biological passport, doctors now have more freedom to prescribe drugs and treatments when an athlete's baseline health levels drop below a certain point. In the interest of athlete health, doctors are not allowed to medicate an athlete above their 'natural' levels. A large risk of hormone supplementation, for example, is that your body will stop producing what you are medicating it with. Some say that encouraging Healthy PED use would give unfair advantage to richer nations. I don't buy the unfair playing field argument. Should the U.K. be banned from Olympic sports because they invest exponentially more in sport than Sierra Leone? Unfair advantage has always been in sport, and will always be there. Healthy PEDs have the potential to actually level the physiological playing field. With genetic freaks like Usain Bolt unable to assert physical dominance, mind games could become more important when gaining the competitive edge, and create more compelling sports entertainment. Another argument against using Healthy PEDs is the trickle-down effect. What if Bolt is getting his speed by using an extremely complicated doping protocol that is good for his health? His health is safe because he has the right doctors and scientists on his team. However, what about the copy cats? Will younger athletes who want the edge to get to the next level emulate their hero and overdose? My belief is no. Not if the information is communicated intelligently. Some administrators, coaches, and sports leaders don't like to think about the athlete health risk argument because it puts them in a moral bind. If our primary concern is athlete health, then how do we justify the current training and competition schedule that places an unhealthy load upon our athletes? If we make health the primary concern when we manage substances and methods acceptable, then what does the current leadership need to do to manage risks on the field of play right now? Concussions, brain injuries, torn ligaments, heart arrhythmia, chronic pain and mental illness are all results of the current high-performance athlete's pressure cooker. We must strive to embody the spirit of the law in every act of governance that we enforce, and not just the rule of law. It's not just about enforcement, but it's also about the rhetoric we use to discuss this issue. Athlete health must be a regular player in the war against doping. That's why I think PEDs should be renamed to embody the actual ethos that clean sport promotes. Drugs aren't bad. Risky drugs are bad. Let's change the doping label from PED to DUR — Drugs with Unacceptable Risks. The sons and daughters of the Olympic movement must be respected. As the leaders and adults of the Olympic movement we must remember our raison-d'être: We must protect the health of our young, so that they can move beyond their sporting experience to be leaders, community members and representatives of positive values.